BlackBerry has now made its BlackBerry Messenger available for all users on the Windows phone platform. 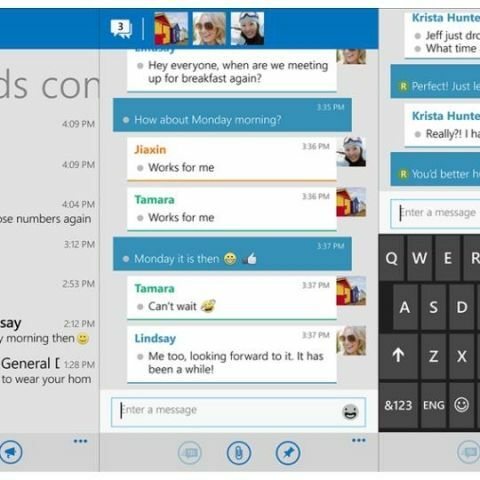 The messaging app is open to Windows Phone 8 and higher. Blackberry had unveiled BBM for Windows Phone last month, stating that the app was open for testing and user feedback. The Canadian handset maker added that the release focused more on Chats, Contacts and Feeds within the app, but will be adding more features in future updates. You can download BBM for Windows Phone from Windows Phone store. BlackBerry, which has been struggling in the smartphone market, is trying to reinvent itself as a software and services driven company. It has been promoting its new BBM features as a more secure messaging service for clients in corporate and government agencies who are looking for a secure messaging service. BlackBerry launched BBM Protected last month, a secure messaging service tailored specifically to the needs of companies in regulated sectors. BlackBerry has no immidiete plans to bring BBM for desktop users. "I can't tell you whether we are going to do BBM on desktop. That is a collaboration we have to have between us and Microsoft and I wouldn't be able to comment on that, because we certainly have the desire, but between that and getting it done there is still a gap," said BlackBerry Chief Executive John Chen stated in a recent interview. Nokia had first announced that BBM for Windows Phone will be released soon at the MWC conference in February. Blackberry rolled out its BBM for iOS and Android last year in October which received a tremendous response with more than 20 million downloads from the app store within a week of the apps launch. When will Nokia City lens and Cortana be available for Nokia Lumia 1520 users? Cool Windows Phone Apps for Kids?